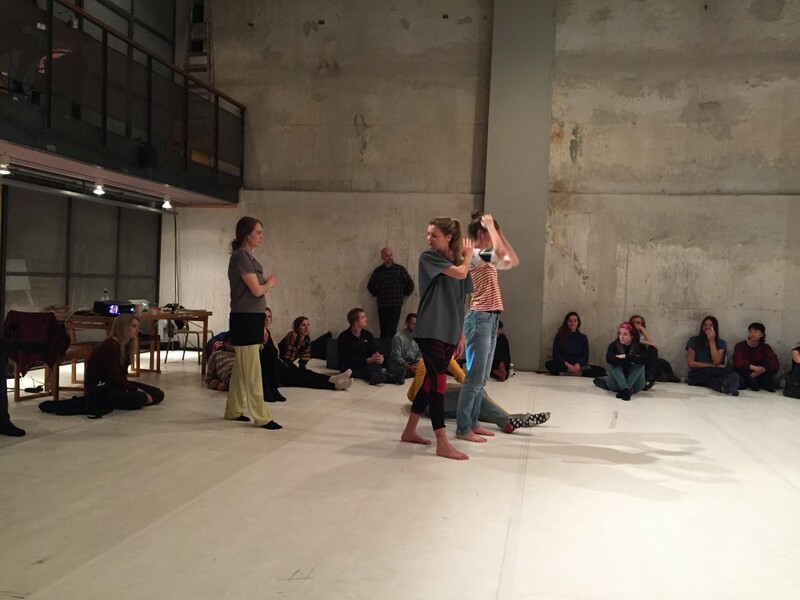 The work was built on my current research, exploring alternative strategies and methods to work with and present dance and choreography, where I’m interested in the specificity of these artforms as well as their relation to today’s neoliberal time – how can dance and choreography, within which labor and artworks are largely based on the intangible values that are rewarded in a neoliberal society, be worked with, produced and presented while maintaining the intrinsic value and political potential of the arts. 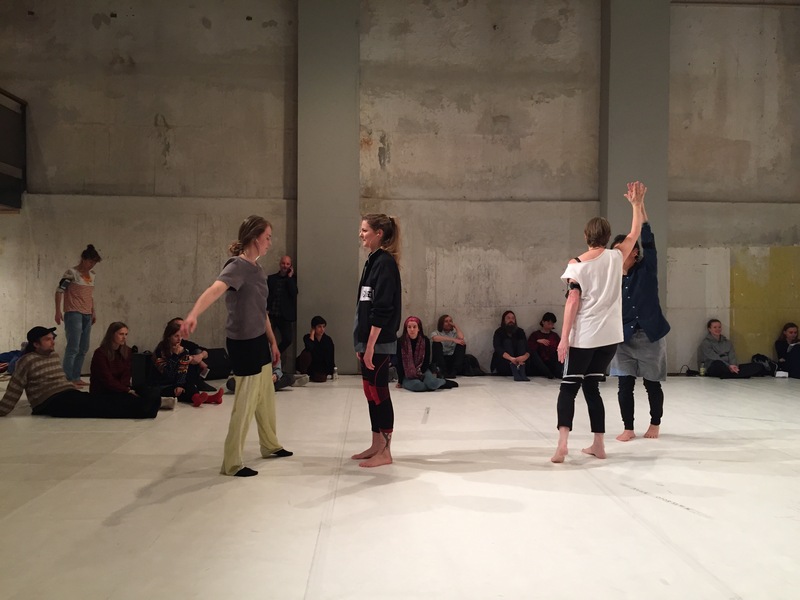 Together with Weld Company we immersed in the company members’ both individual and collective understanding of and perspective on the labor of dance and choreography, as well as the dance company as a structure. 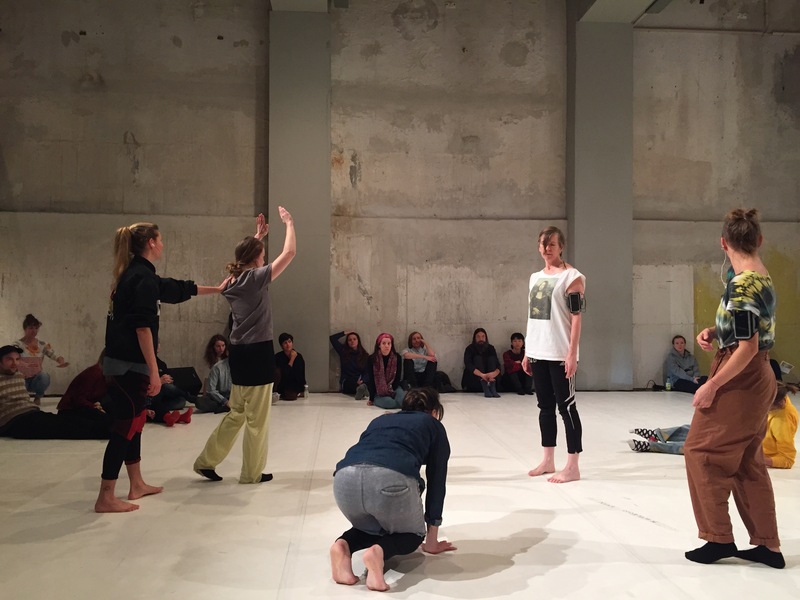 During the week the company exchanged and worked on translations and mediation between written, verbal and movement-based materials to create parallel choreographic layers that increasingly displace and question were the choreography takes place, and at the same time tries to make visible the fundamental mechanisms of dance and choreography as art disciplines. 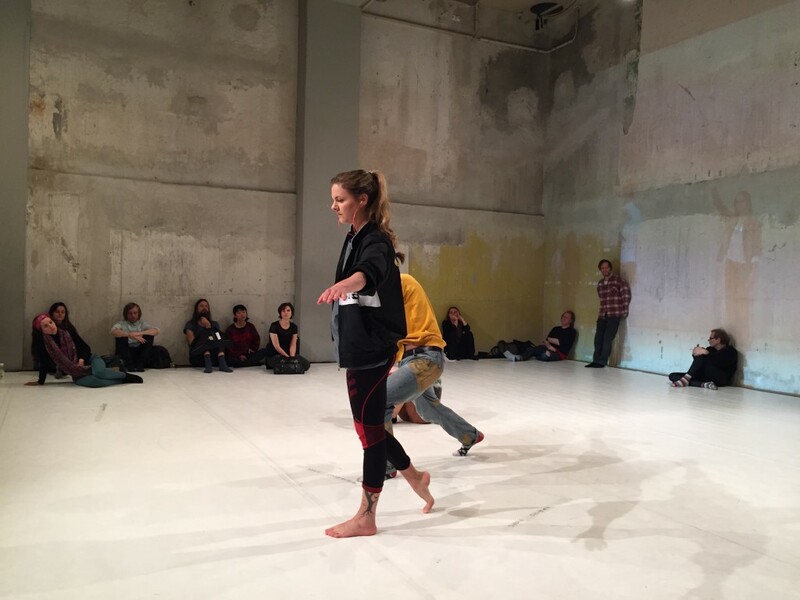 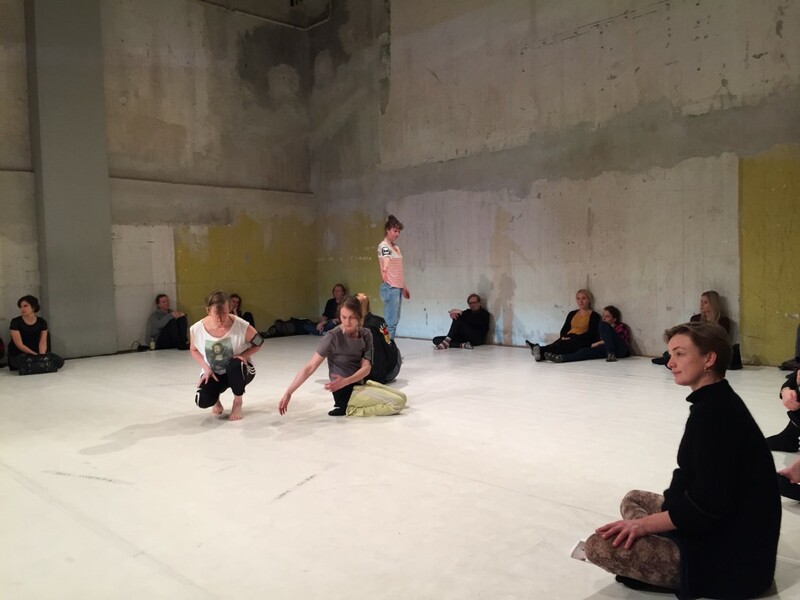 Weld Company + Rebecca Chentinell was shown at Weld, November 2015, and performed by Rebecca Chentinell, Sybrig Dokter, Noah Hellwig, Disa Krosness, Josefine Larson Olin, Andrea Svensson and Anna Westberg.